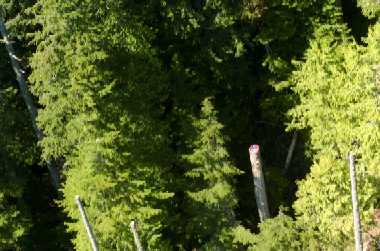 SCSS is a helicopter logging contractor that carries out its operations with sound forest management and stewardship. Our goal is to extract as much value and volume as possible from every tree harvested without damaging surrounding forests. SCSS incorporates a number of new and innovative harvesting techniques that allow us to remove only selected trees while leaving the lightest footprint possible in forestry. Our crews are trained in ISO 14001 environmental management, comply with any and all regulatory standards, and have a passion for forest conservation. SCSS promotes individual responsibility when it comes to its contractors as far as environmental management. It is our belief that thru forest stewardship, individual responsibility, and the dedication to maintaining the lightest foot print possible we can successfully harvest timber in our province for generations. All SCSS employees and contractors are required to comply with all company policies, customer policies and Provincial laws governing environmental performance. SCSS will insure that management and contractors work with customers, public and government to employ the best management practices in order to protect the environment, wildlife habitat, water quality and biological diversity. Although SCSS harvests some old growth forests our overriding mandate is to make the most of every tree harvested in order to maximize the return per unit and in doing so reduce the total units needed to satisfy the global appetite for lumber.